Live Creating Yourself. 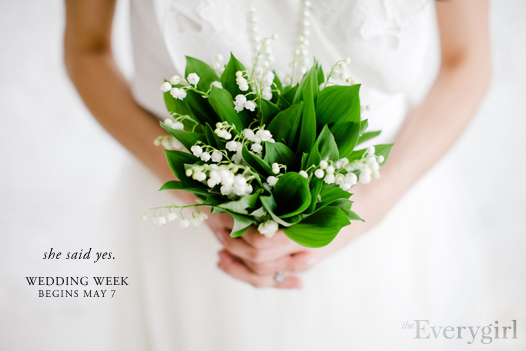 : Spread the Word: Wedding Week Starts Monday! 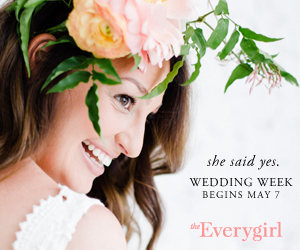 I've been married for almost three years, but I'm still looking forward to a beautiful Wedding Week at The Everygirl! i'm so glad you are back!!! i missed reading your posts! 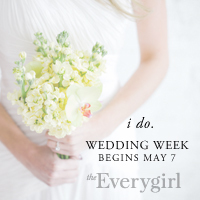 and im very excited to see what all wedding week holds!!!! I can't wait!!!! Definitely something to look forward to!